This bay Half-Arabian gelding by Millennium LOA and out of Alpha Phi was born in 2004. 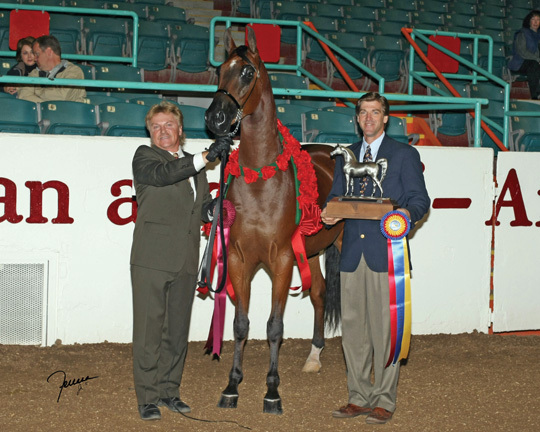 In 2005, he debuted in the show ring, capturing the U.S. National Half-Arabian Yearling Colt/Gelding Breeders Sweepstakes Championship title. 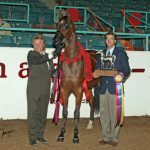 In 2007, he was both U.S. and Canadian National Champion in both the Half-Arabian Gelding In-Hand Saddle/Pleasure Type class and the Futurity Gelding In-Hand class. 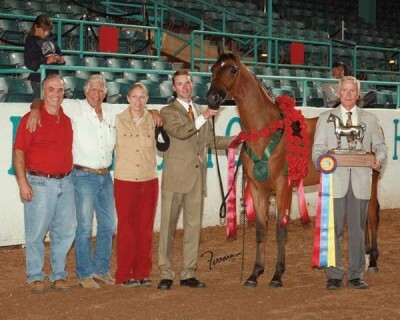 He was also victorious at numerous regional shows, Scottsdale and the Buckeye. Smarty Ames began his performance career in 2008 and has earned numerous regional titles in the Country English Pleasure division. In 2009, he was a Reserve Champion and Top Ten at Youth Nationals.